Listening to students express their hopes and desired for a different learning experience has been some of the best PD we could have hoped for. I wish I would have done so more often as a classroom teacher. 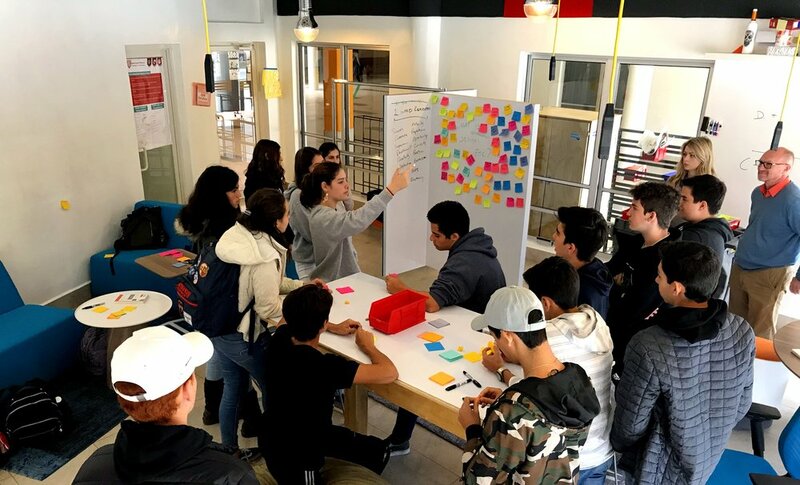 Throughout this process we have been intentional about honoring the Design process and gaining empathy into the user experience, in this case school/education experience for our high school students. 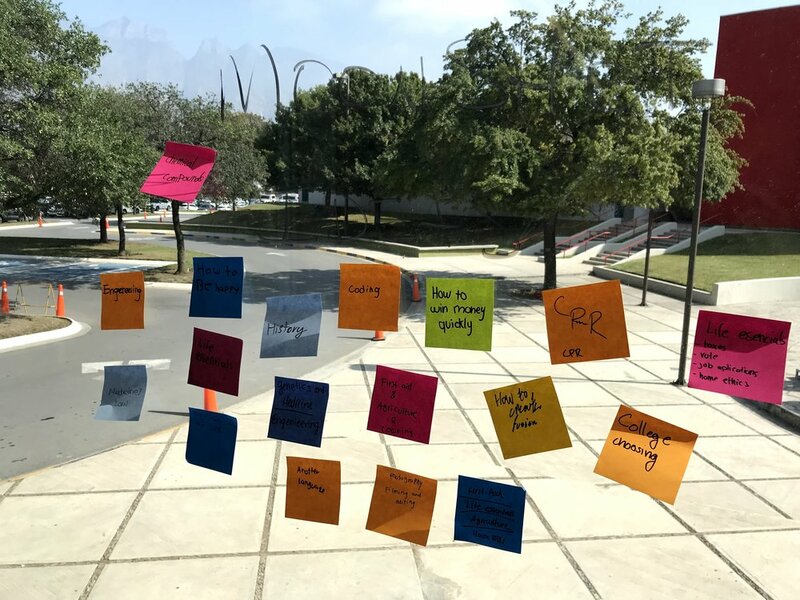 The better we listen to understand and position ourselves as ethnographers seeking to learn more, the better can facilitate the development of another experience at ASFM, a school within our school. This has been a continue process of prompting, listening, circling back, asking why, and digging deeper, over a period of literally months. I fully recognize many schools, ours included, do not have time, or make time to do this but in doing so we have been able understand more than we ever thought possible and move forward with conviction. A challenging, yet simple concept to dig deeper into has been, What is School for? What is the real purpose of it education? Our student group consistently kept coming back to this concept during our group empathy sessions and to be honest, we couldn’t find a collaborative or community agreed upon response. The ASFM vision statement reads that, “We believe in OPEN MINDS, CARING HEARTS, and GLOBAL LEADERSHIP as essentials for a healthy and successful life.” and resonates at a high level of frequency with our student population. Yet, we when we ask how this is expressed in common behavior patterns there is little consistency or alignment. That made us curious. 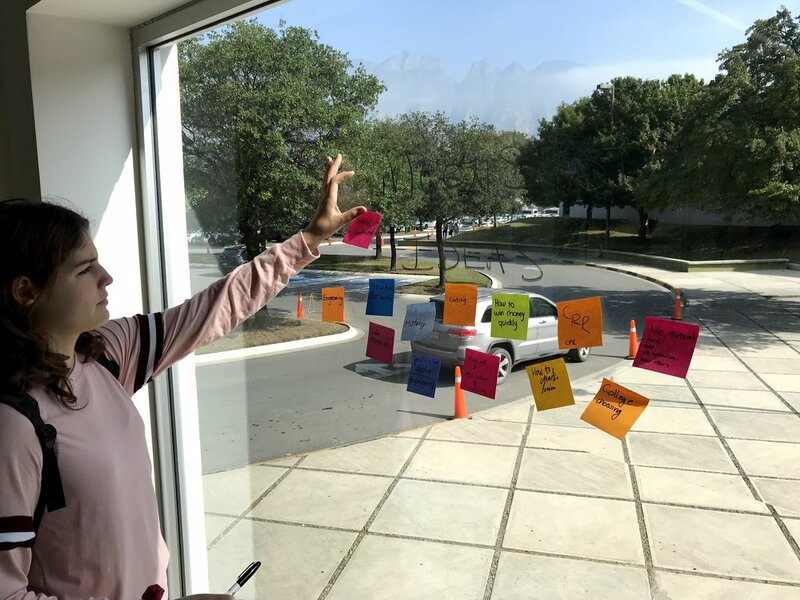 How might we prototype a series of experiences to inform and mould the future ASFM Moonshots academy? 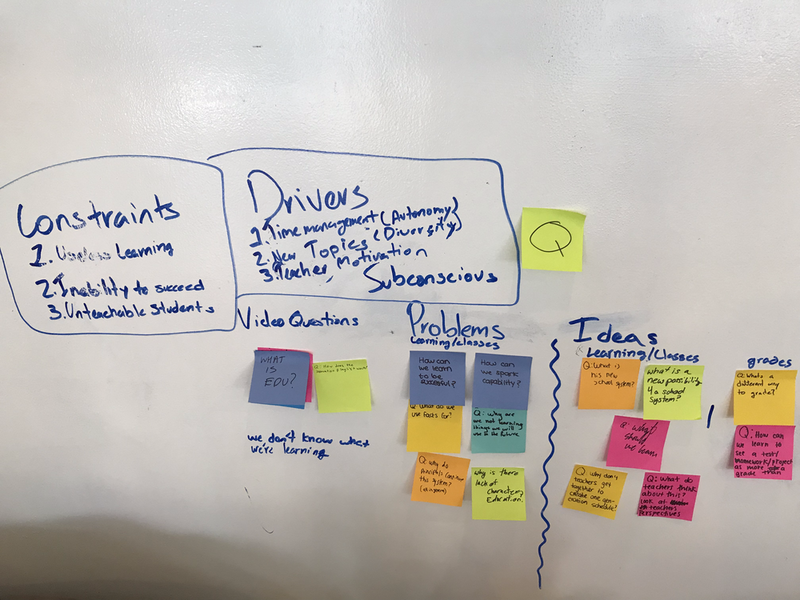 After much discussion around what a prototypes might look like it we eventually arrived at some understanding that we this needed to be a personalized experience for all students. That we had to honor their individual needs and differences in two key ways. 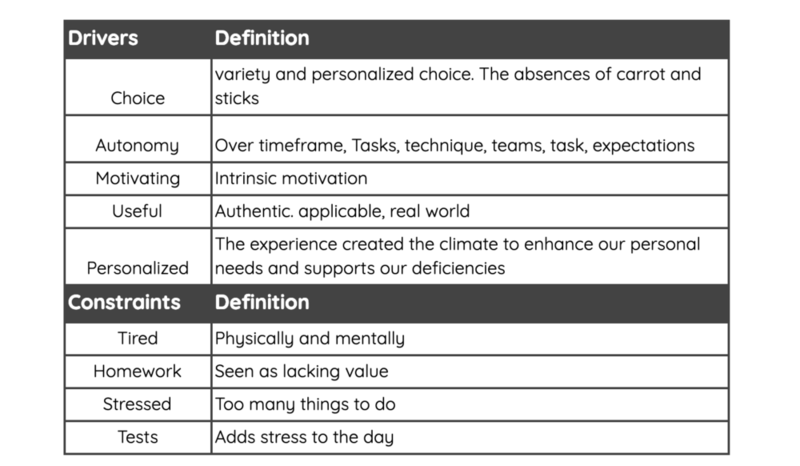 We had to customize and personalize their learning experience as it applied to the structures of school and the structures of learning. By “Structures of School” we are referring to the non-academic components of school. The schedule, location, classrooms, “graduation requirements”, generations, etc. Students we talked with expressed that there where various constraints to the confinements of the structures of schools but that these were not equal to all experiences. For example, one student may prefer to a classroom setting for their literature course but would like to experience science externally with an expert or mentor. By “Structures of Learning” we are referring to the academic components of school. The standards, nature of courses, assessments, projects, assignments, tests, etc. 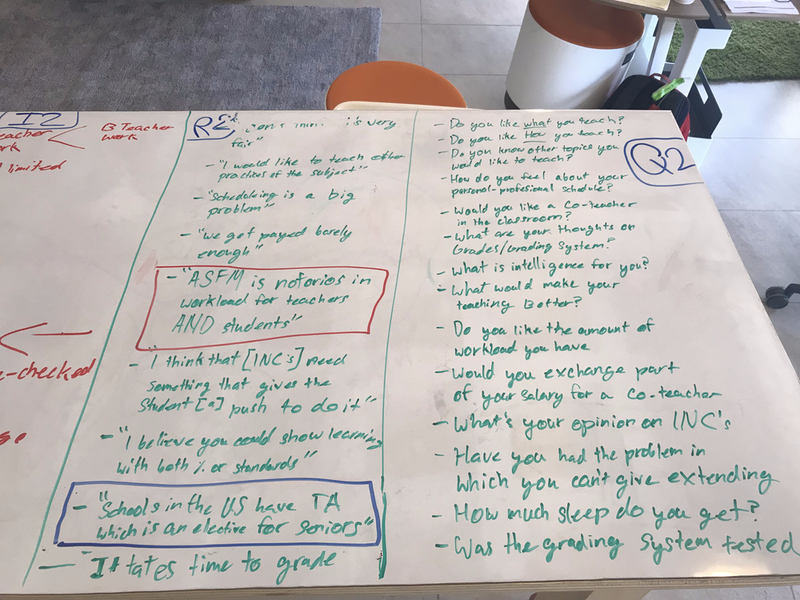 Students expresses that in some cases they prefer to learn about a topic in isolation but in others they would like to explore cross sections between subjects. For example, what might we learn about chemistry when we explore through the lens of literature and art? 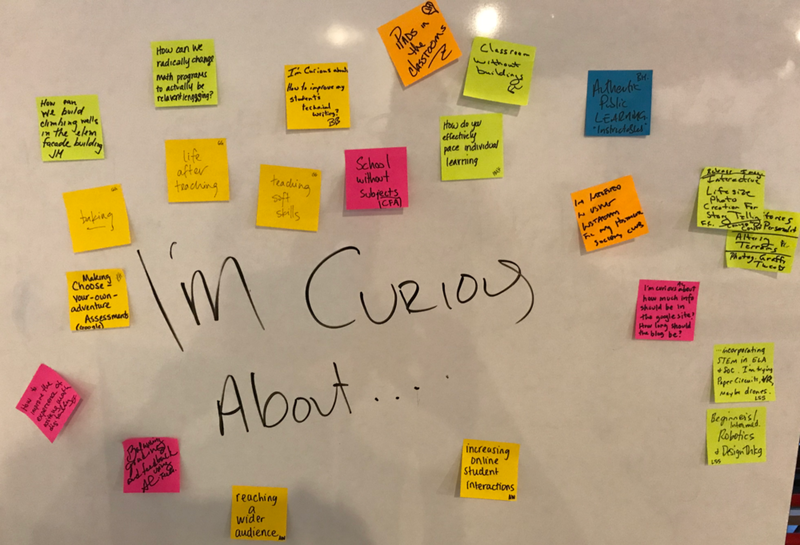 These types of curiosity statements are unique to each students. 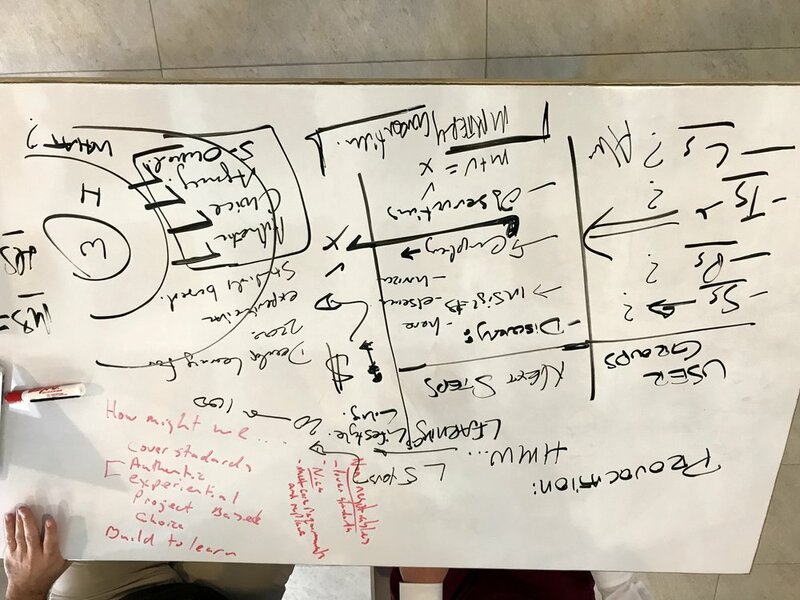 Combining this framework with the emergent ASFM emergent drivers drivers can now serve as to fuel ideas to launch prototypes of what an ASFM Moonshots experience could be like.